The Internet has touched every part of our lives, and how we eat is no exception. Indeed, being an industry already primed for the “Uber for Everything” Era ever since Domino’s first guaranteed 30-minute delivery windows, it’s no wonder the restaurant industry has embraced the on-demand economy and the rise of online ordering apps. Restaurateurs are scrambling to purchase technology that enables customers to order food online. Can you blame them? Three years ago, more people still ordered food by telephone than online. Now, more than half of restaurants’ takeout orders originate online. Soon, restaurants that don’t allow customers to order online will be unable to compete and—ultimately—survive. However, in their haste to find such a solution, many a restaurateur makes a grave, and sometimes fatal, mistake. Enticed by promises of enjoying such online ordering capabilities, along with a vastly wider audience and minimal barriers to entry, they sign up to list their restaurant on online ordering marketplaces. Months later, the restaurant shuts down, having been bled dry by absurdly high commissions while their customers slowly — but surely — got siphoned away by competitors. What is an Online Ordering Marketplace? Online ordering marketplaces (also known as “food aggregators”) are companies such as Eat24, its parent company GrubHub, Delivery.com, and Seamless. And their pitch is positively magnetic to restaurant owners. These platforms aggregate thousands of restaurants onto a centralized website. As a result, restaurants can easily add online ordering and delivery capabilities. Diners also benefit, as they can find restaurants, browse menus, read reviews, and order food—all without leaving the app. Not only can a restaurant add these coveted (and increasingly essential) online ordering capabilities—they also pay nothing up front, and assume no responsibility for building an online ordering website. The aggregator does all the hard work, while the restaurant sits back and waits for all its new orders to come in. Unfortunately, business’ (and life’s) most ironclad rule still applies: nothing is ever actually free. And in the case of online ordering marketplaces, the promised benefits come with a nasty catch: the outrageously steep commissions they charge restaurants. At first glance, it’s hard to see what’s so outrageous. After all, the aggregators need to make money, especially considering the work and responsibility they take off the restaurants’ shoulders. And since these online marketplaces introduce these restaurants to a bigger, wider audience, then it’s easy to reach enough new customers to justify the lost profits. The problem is that many restaurateurs don’t recognize the high costs associated with online ordering. The business model of an online food aggregator is very similar to Groupon (hey, remember them? ), in that the restaurant shares its revenue with the marketplace. Say, for example, that a consumer places a $65 order through Seamless or GrubHub. Here’s an overview of what the restaurateur will pay GrubHub on that transaction. As I mentioned, it’s not surprising that online ordering marketplaces like GrubHub take a cut from each order. But when its cut is over more than 16 percent per order, this puts the restaurant in a tricky spot. Being on these platforms can be helpful, if it helps restaurants reach new audiences and actually turn them into customers. However, if customers—who would have ordered directly—now turn to the aggregators because they’re convenient, the restaurants take a big hit. And, as being blindsided by these commissions wasn’t bad enough, things quickly get worse for these restaurateurs, who quickly find out that these aggregators are far more insidious than they appear. That cut that aggregators takes out of every order? That’s just the beginning; rates are often higher. 13.5 percent plus credit card processing fees. Very high cost at 30 percent with additional charge to the restaurant’s customer. Averaged 12.5 percent before being acquired by GrubHub. Reported by Eater as a 27.5 percent commission. Some restaurants often have to consider giving away an even steeper cut if they want their listings to be more visible on the platform’s search engines. In fact, appearing on the first few pages of search results could cost a restaurant over twice the average commission. The fee to rank “well” in these search results could come with at a cost of up to 30 percent per order. That’s right: a restaurant can pay over a 30 percent commission to online ordering marketplaces and still be pages away from the top results! Even if the commissions weren’t so ridiculous, the fact remains that not only are restaurants paying commissions for new customers, but also returning customers (while also on boarding those existing customers onto a platform where competitors can them poach them from). In any other conceivable scenario, in any industry, people would (rightly) question the sanity of any businessperson who agreed to such terms. Yet in today’s restaurant industry, too many restaurateurs are either unaware of this, or believe that their marketing dollars are well-spent on these online food marketplaces. About those customers being poached… hold on to that thought. We’ll take a look at that quandary momentarily. Anyway, the fees associated with online food aggregators are enough to wipe out a painful chunk of revenue, with questionable returns. True, the more money a business doles out to marketplaces like GrubHub, the more customers can find the restaurant. But in return, the restaurant’s profit margins may shrink or become non-existent. Remember, it’s not about the gross; it’s about the net. And all this, while the aggregators’ listings get increasingly crowded and the slopes they have to climb up the marketplace’s search rankings grow ever steeper. In a situation reminiscent of the mafia’s “protection rackets” that plagued small businesses in the early 20th Century, many restaurants now find themselves trapped in a vicious cycle. They’ve come to depend on a third party (the aggregator) for takeout and delivery sales, but with each sale, a healthy chunk of money goes out the door. In an industry already notorious for its razor-thin profit margins, these steep cuts from third parties can—and do—sink restaurants, taking the restaurateur’s hopes, dreams, and livelihood with it. And yet, online food aggregators are becoming so common, restaurants almost have to be listed on them if they want customers to even find, much less order, from them. Just like the 1920s shop under the mob’s thumb, today’s restaurants increasingly find themselves at the aggregators’ mercy, and with no easy or even viable way out. Now, this situation wouldn’t be so grim if the cost of admission to these marketplaces were offset by the hordes of new customers that, supposedly, discover and order from the restaurant. But as you’ll see, by handing control over transactions to the aggregators, restaurants are losing more than cash—the aggregators also rob them of their customers. The reason is deceptively obvious: the restaurant’s competitors are also on the same online ordering marketplaces, competing to reach the same audience. And a competitor may choose to pay the cost of appearing higher in search to outrank their competition and send special promotions to their customers. This is a slippery slope. But—you guessed it—there’s another added knife twist that makes this situation worse. For in handing over control of their transactions, restaurants are also forfeiting their ownership over valuable data such as customers’ email addresses and demographics. The Eat24s, Seamlesses, and GrubHubs of the world collect and maintain this data, and are free to do whatever they want with it—including soliciting new businesses. With just a few clicks or taps, a (potentially loyal) customer will purchase your food—while giving their data to the aggregator. Who’s the real winner here? It’s not the restaurant. The aggregators not only take a large bite of a restaurant’s profits, but also collect and owns the customer information so critical for a small business’ success. And now, the bitter, rotten cherry on top: online food aggregators are notorious for not playing well with existing systems in place throughout the restaurant industry. This means that programs you may already have in place—like a loyalty program—won’t work with GrubHub. This not only affects the data a business can collect, it’s also a disservice to existing customers. Restaurants can try to solve these Catch-22s by offering online ordering through their own websites. However, the technology that enables online ordering is complex, clunky, prone to bugs, and far beyond the resources of most mom-and-pop eateries. Larger restaurants and chains are better equipped to implement this technology—however, these are often slow, prone to bugs, and ugly (even for a business category already notorious for unsightly websites). Speaking of online food aggregators messing with existing systems: they can decimate a restaurant’s SEO and practically erase it from diners’ search results. And they often do so, if a restaurant refuses to sign up with them. This stealthy trick can diminish or even eliminate a restaurant’s domain authority, though this is by no means limited to them. The page itself contains the aggregator’s branding, and appears to set the expectation that users can order from the restaurant via the Aggregator. However, when they try to do so, a message pops up saying, “We’re sorry, but this restaurant isn’t accepting online orders at this time” (or something similar). This is done, it appears, to nudge hangry customers into pressuring the restaurant to sign up with the Aggregator. Or, at the very least, create a negative brand association in the now-confused-and-irritated customer’s mind. Who knows how much additional business these holdouts missing out on, as a result of these shady tactics? These fake landing pages are not common. However, they can confuse Google searches, especially when paid search ads are involved. The aggregator’s ad is likely to show up first and, just like the restaurant page, it sometimes shows misleading or downright false information about the restaurant. It may even show the wrong menu or completely different hours. The rotten cherry on top? Since ads generally lead with the restaurant name, potential customers are highly likely to wrongly attribute the aggregator’s ad to the restaurant, compounding the negative brand image amongst what could’ve been a new customer. Such retribution seems a tad disproportionate for a prospect that declined to hand over its cash and customers, wouldn’t you say? Often, a restaurant taking control of its own SEO can mean the difference between sinking or swimming after untethering itself from food aggregators. The good news is that, while it may seem complicated, it is possible to avoid GrubHub, Seamless, Eat24, and other aggregators’ attempts to stand on restaurants’ shoulders. If you’re a restaurant owner concerned about the increasing control online food aggregators like GrubHub yield over your business, pay attention. Here are a few ways that you can use online food aggregators while still maintaining a great local and online presence. Trademark your company’s name so that you can protect it. 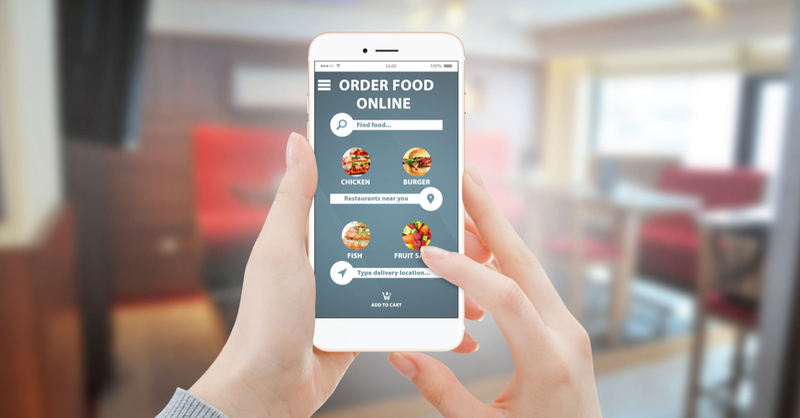 Add online ordering to your restaurant’s website using white-label online ordering software from companies like Total Loyalty Solutions or ChowNow. Claim your Google My Business listing and be sure to add your restaurant’s locations online ordering link. Spruce up your SEO so customers don’t get lured into a phony third party link. Offer a loyalty program or incentives only for customers to place direct orders through your restaurant’s website. Restaurants absolutely must regularly monitor SEO when using any online food aggregator. You can avoid their tricks if you know what to look for. Do so, because failing to pay attention could cost you a fortune. Be sure to regularly run promotions for orders placed directly on your site. And remind your customers about them as often as possible. Oh, and those loyalty programs? Thanks to loyalty programs, it’s easier and more affordable than ever to set up the infrastructure to run these programs and accept online orders directly from your website. That way, you’ll get GrubHub’s most valuable benefit, without any of the nasty side effects you’ve just read about. Now, all that being said, there are many businesses that are happy to use online food aggregators. These restaurants may have gotten new, loyal customers who were introduced to the company through GrubHub, and offering online delivery through an aggregator can be a potential boon for sales. However, sharing 16 percent or more of revenue for an existing customer just doesn’t make sense. And that’s before taking into account the more heinous externalities of using these aggregators. The pitfalls are plenty, and mistakes can quickly and easily cost a restauranteur a lot of money. So before wading into these murky waters and offering online, on-demand orders, do your research. Knowledge is power, and by being knowledgeable, you’ll have a much better chance to avoid getting swindled by these online ordering marketplaces. Total Loyalty Solutions is offering Modern Restaurant Management readers a special offer of one FREE month on any new service. To learn more, click here. 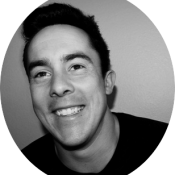 Liam Oliver leads Product at Valassis Local Solutions, which provides marketing solutions for more than 50,000 small and medium sized business across the United States. He’s led teams who have built software used in thousands of restaurants. He is passionate enabling local businesses with technology that empowers them to compete.